The sensewhere positioning system is distributed between a mobile client device and a server in the network cloud. The server components manage communications with the device and record position data sourced from the crowd of users. The proprietary and patented algorithms then process the logs to create a location database of Wi-Fi and BLE transmitter locations indoors and out. Over time the system grows in coverage, improves in accuracy, and automatically corrects and adjusts when transmitters are moved or added. 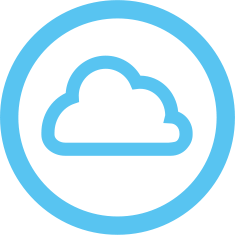 The sensewhere cloud system has been deployed for high volume usage. The sensewhere team monitors and manages these systems with intelligent dashboards showing load levels, response times, and database activity. The high reliability system can be scaled to meet the growing demands of the global crowd.